After a decade of continuous recording and incessant touring, Jack Ingram has earned the respect of his peers and an unflinching loyalty from an ever growing legion of fans, most of whom just signed on in the last two years. He achieved both the hard way. One bus ride and one hellacious show at a time. 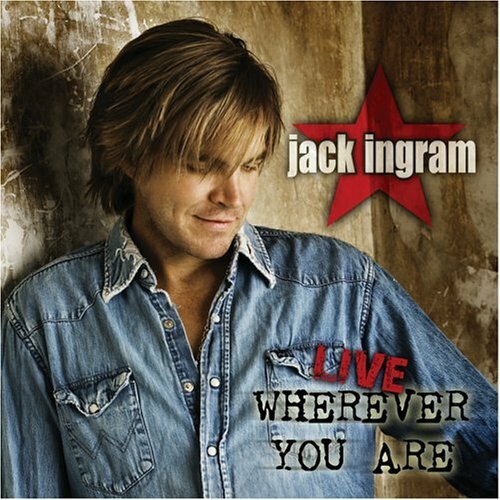 The album features Jack's first new studio recordings in three years with the first single 'Wherever You Are' and the rave-up 'Love You'. Universal. 2006. If you have any questions about this product by Umgd/Big Machine Records, contact us by completing and submitting the form below. If you are looking for a specif part number, please include it with your message.